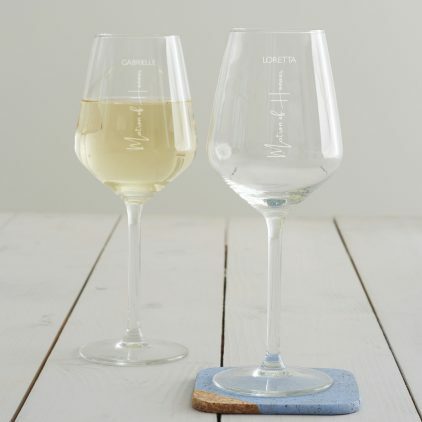 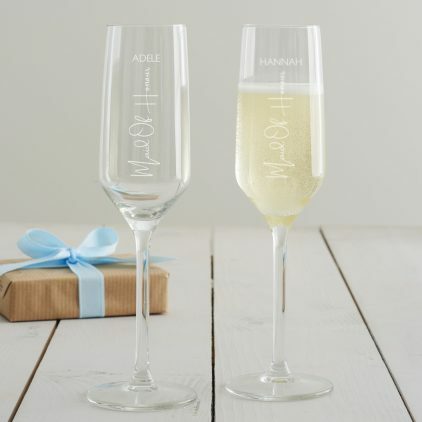 A personalised wine glass, guaranteed to make the recipient say ‘Yes!’ to a very important question. 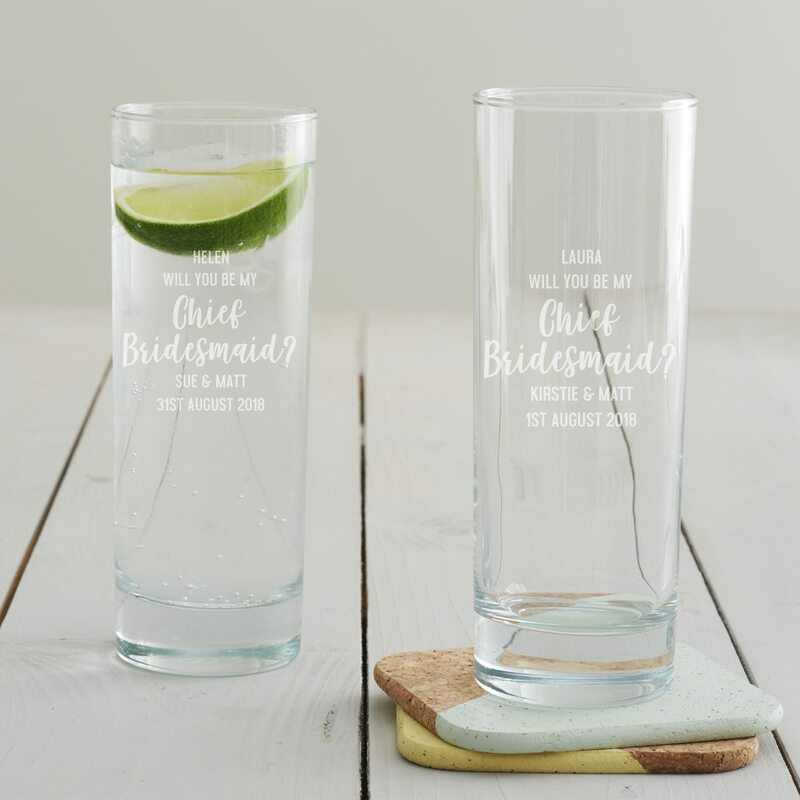 A personalised hi ball glass designed to help you ask your closest friend that very important question! 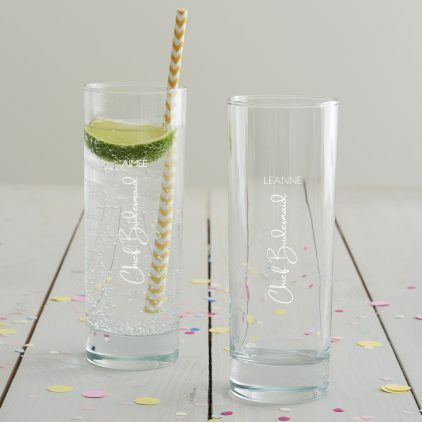 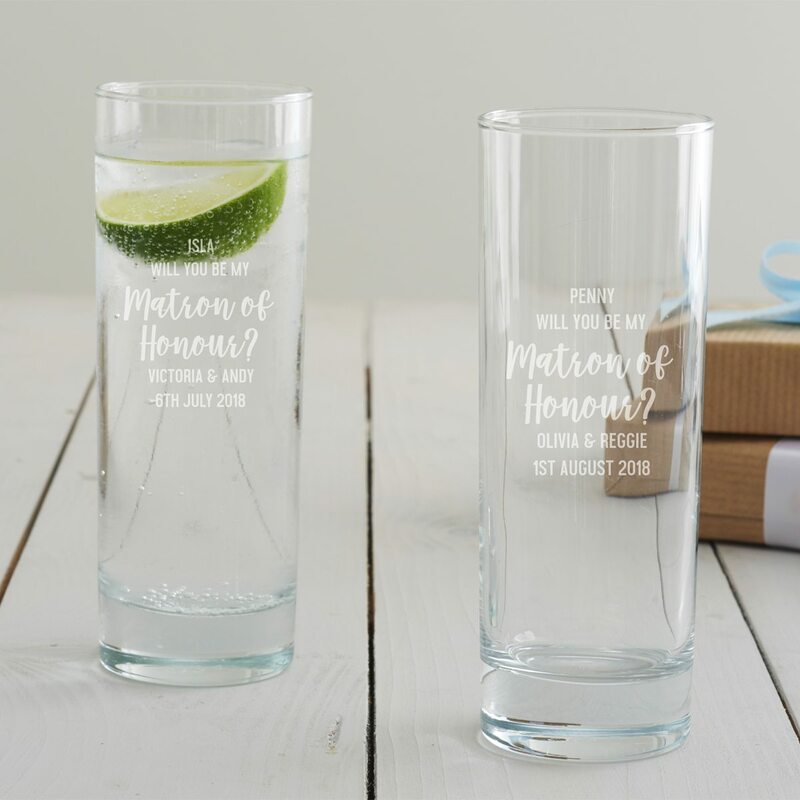 This personalised hi ball glass is guaranteed to help you receive a ‘Yes!’ to a very important question! 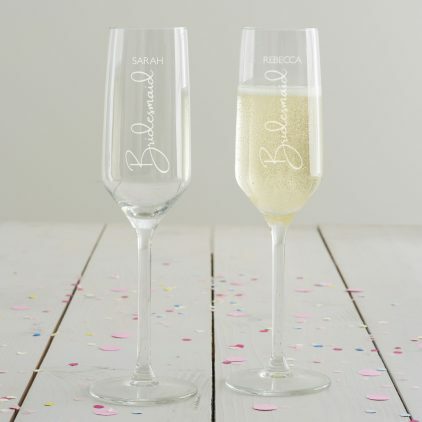 What better way to thank your bridesmaids than with this personalised bridesmaid champagne flute! 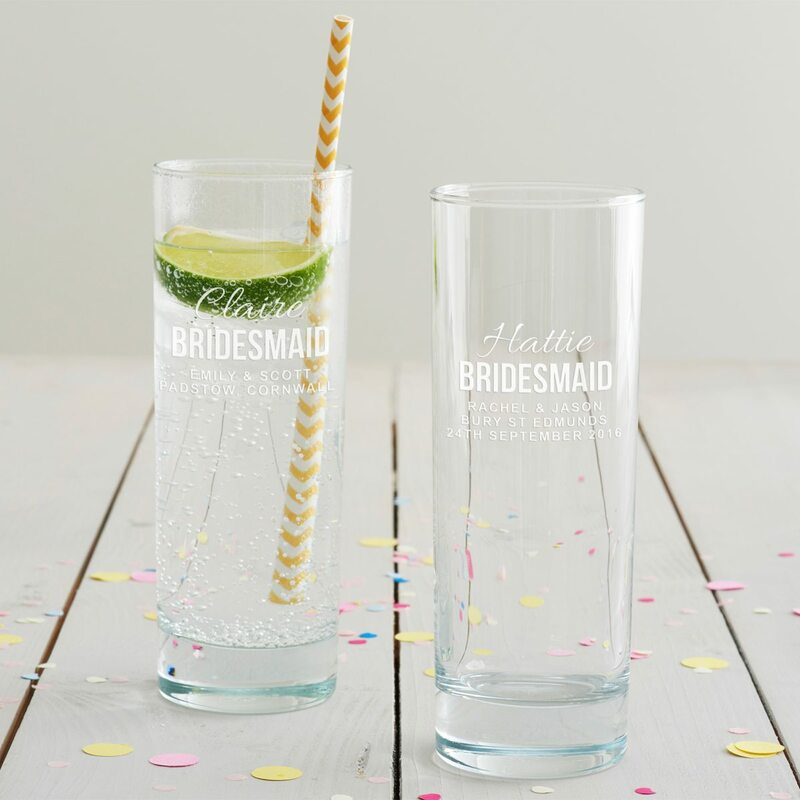 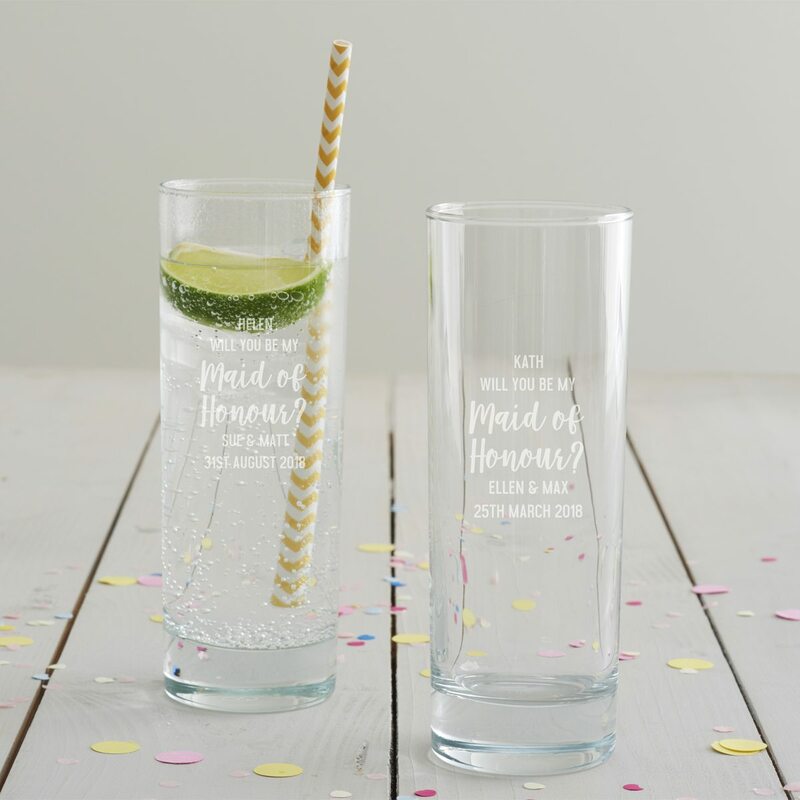 What better way to thank your bridesmaids than with this personalised wedding hi ball glass! 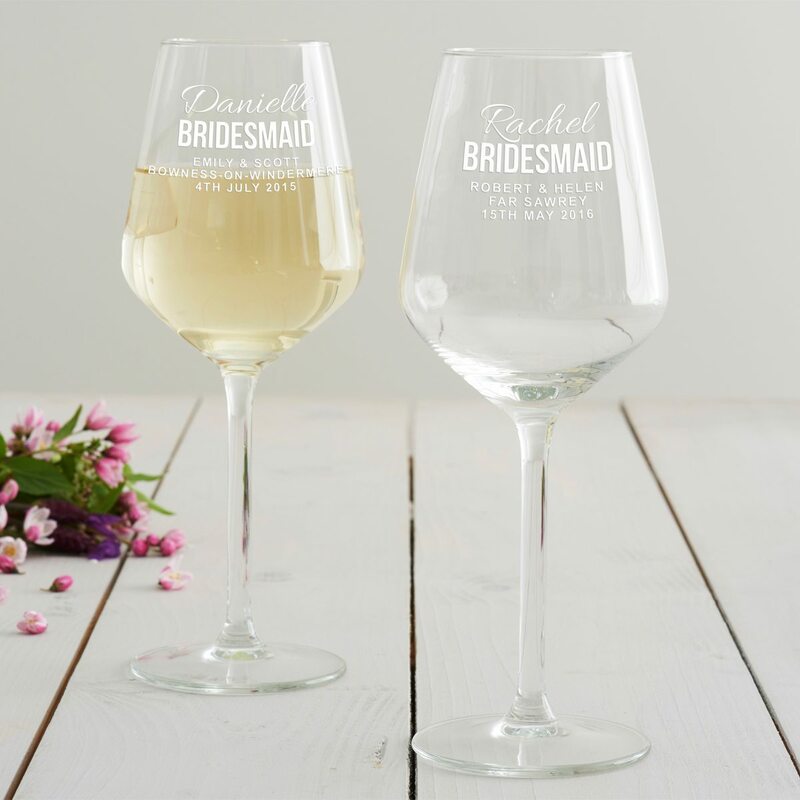 What better way to thank your bridesmaids than with this personalised wine glass! 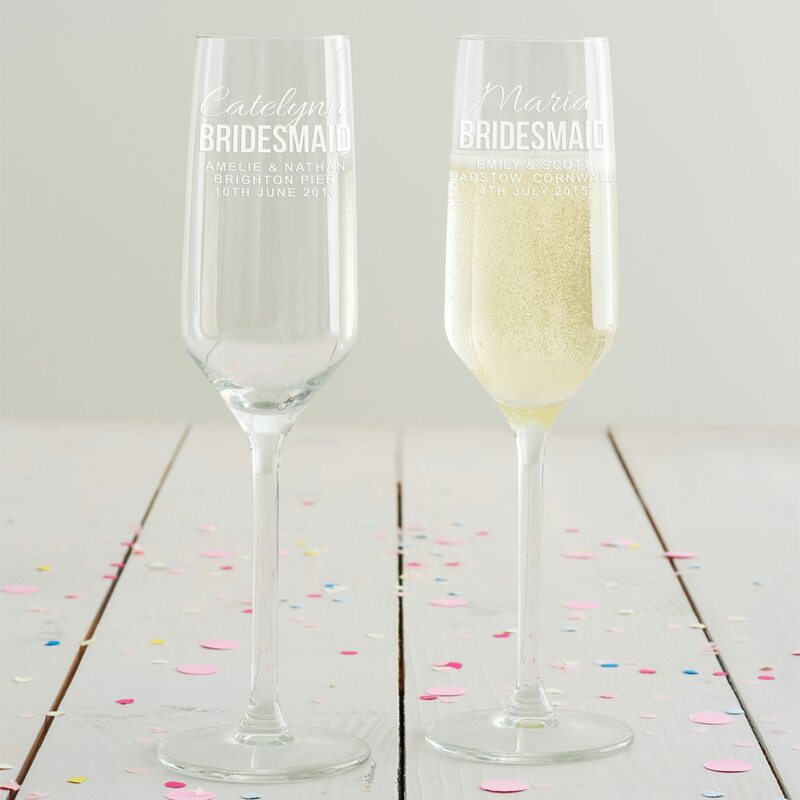 This personalised champagne flute will be a beautiful reminder to your chief bridesmaid of your special day. 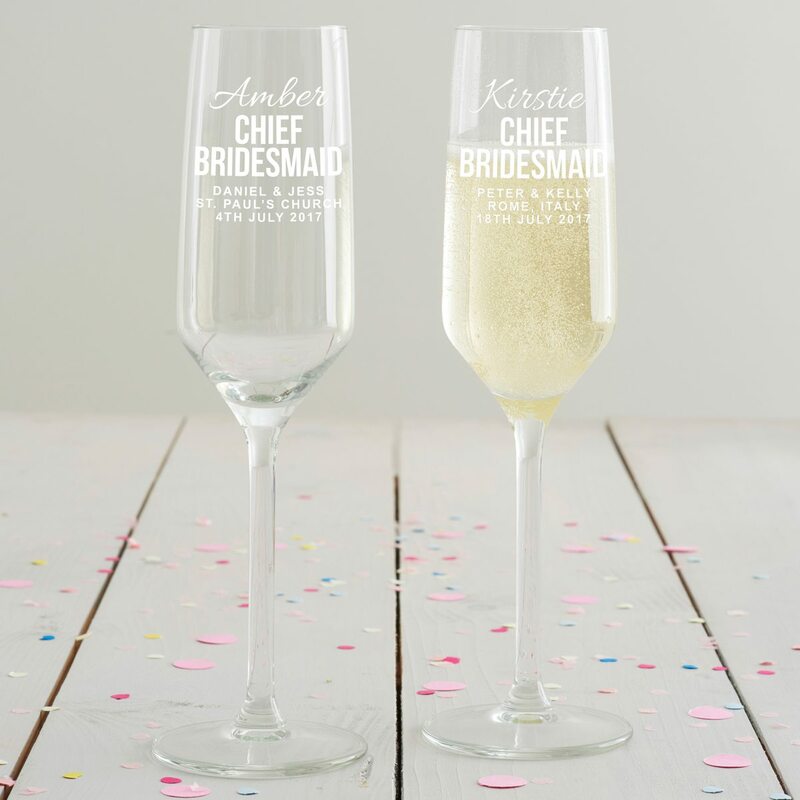 Perfect as a special reminder of the big day, this chief bridesmaid’s hi ball glass will be treasured forever. 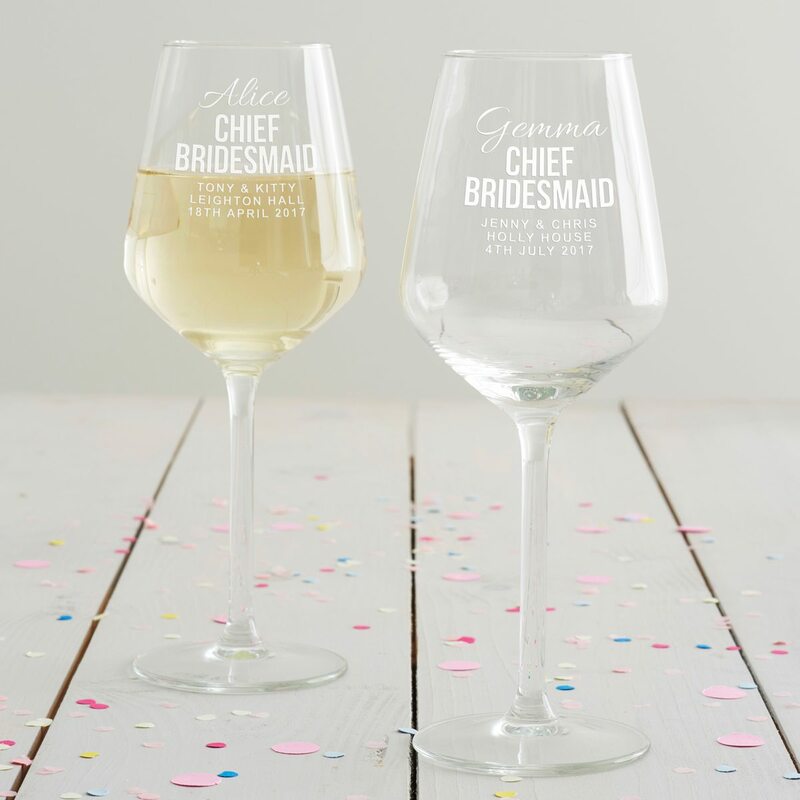 Perfect as a special reminder of the big day, this wine glass will be treasured forever by your chief bridesmaid. 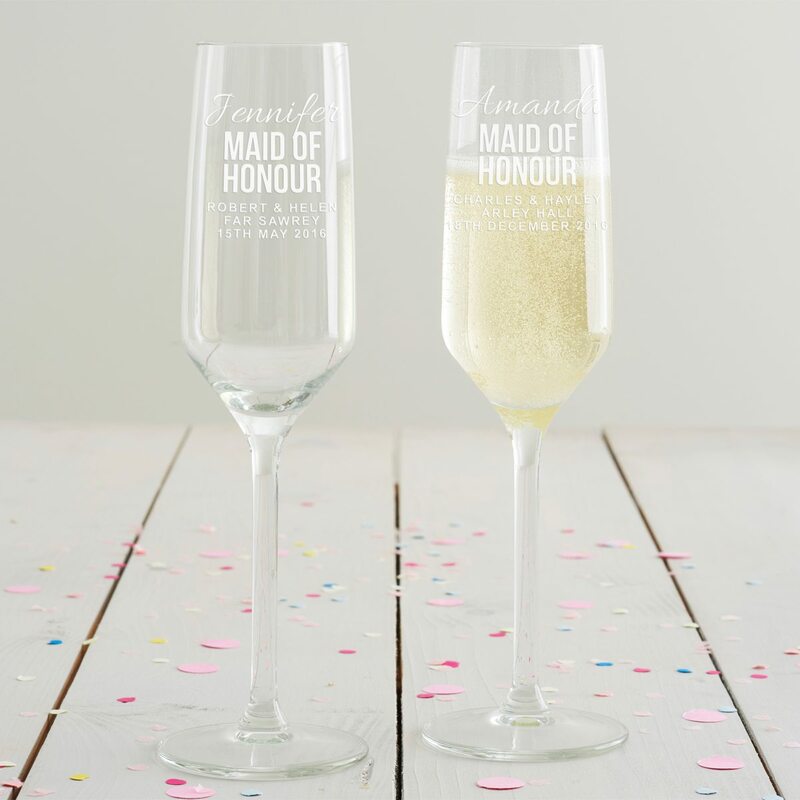 This maid of honour champagne flute is the perfect way to say ‘thank you’ on your big day! 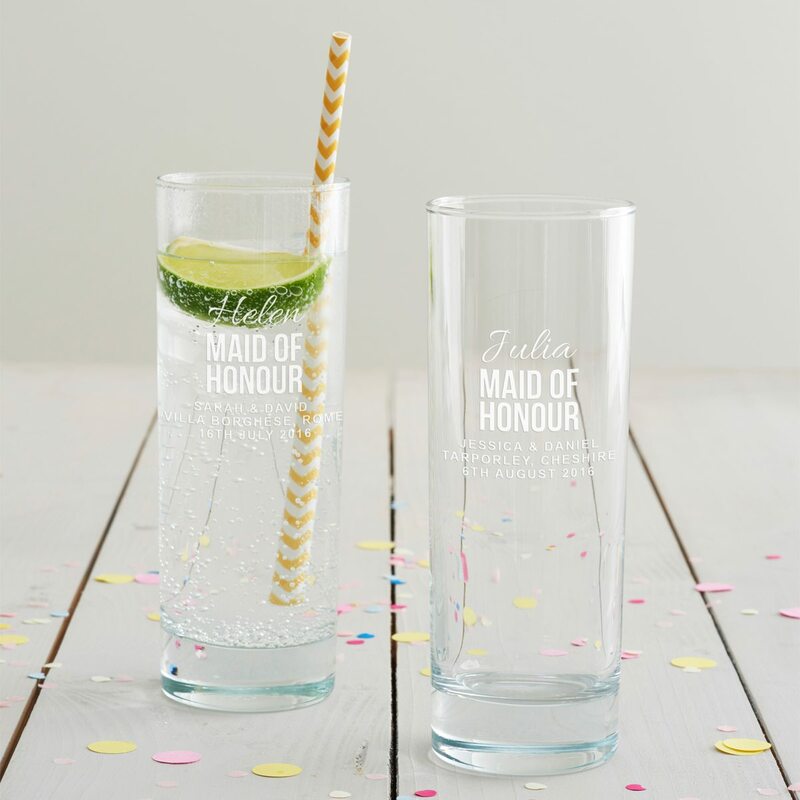 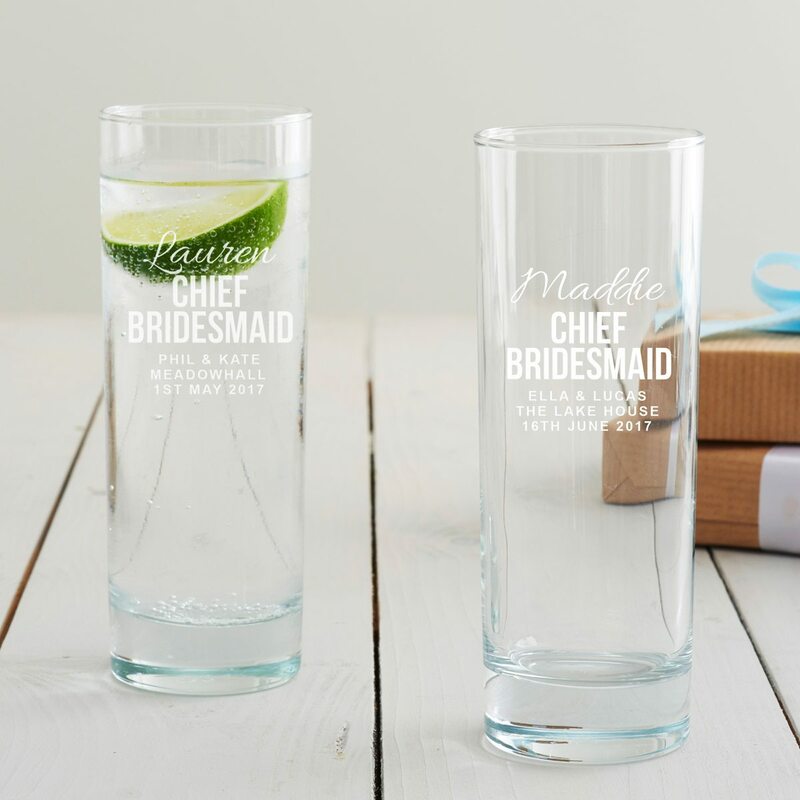 This maid of honour hi ball glass is the perfect way to say ‘thank you’ on your big day! 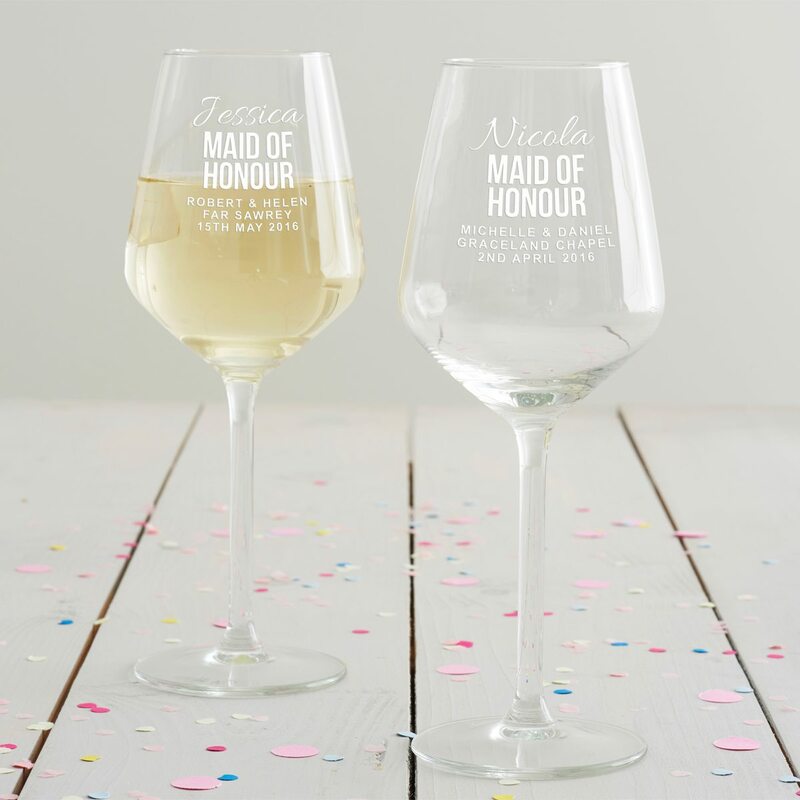 This maid of honour wine glass is the perfect way to say ‘thank you’ on your big day! 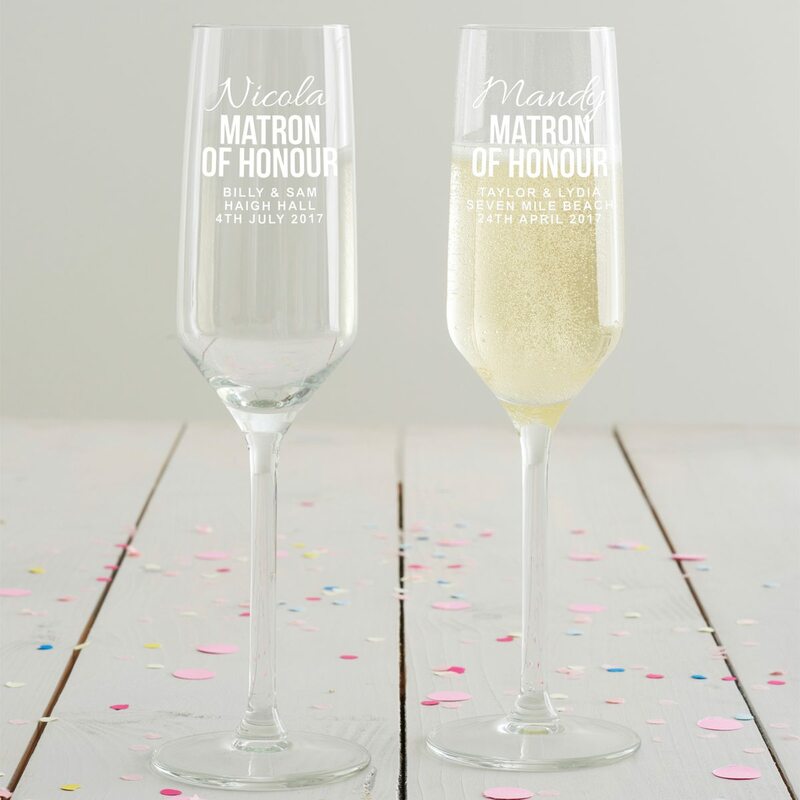 A perfect thank you gift for your matron of honour, this champagne glass will be a permanent reminder of your special day. 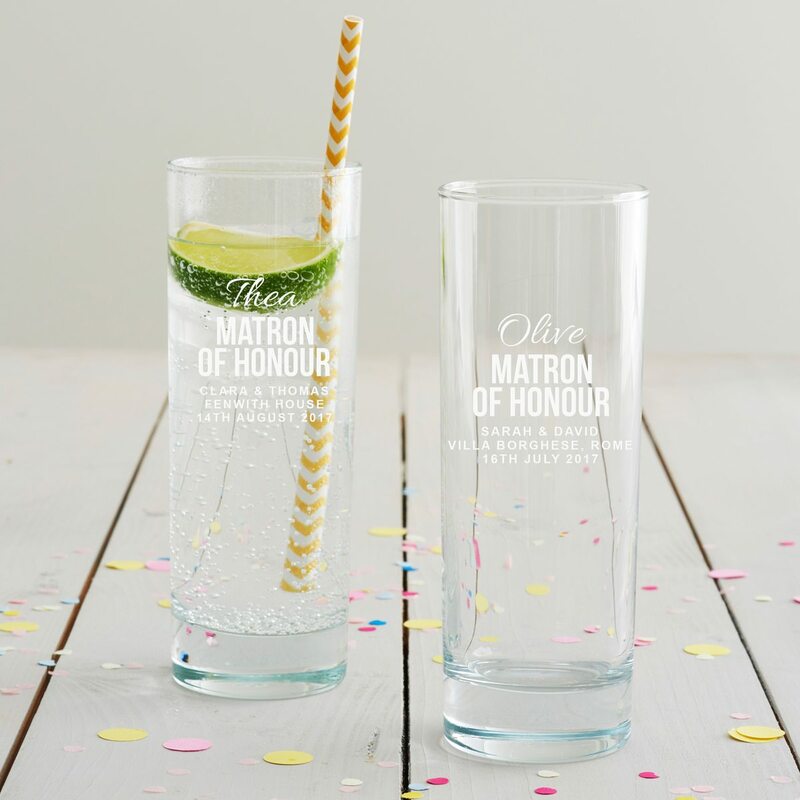 This personalised hi ball glass is the perfect thank you gift for your matron of honour. 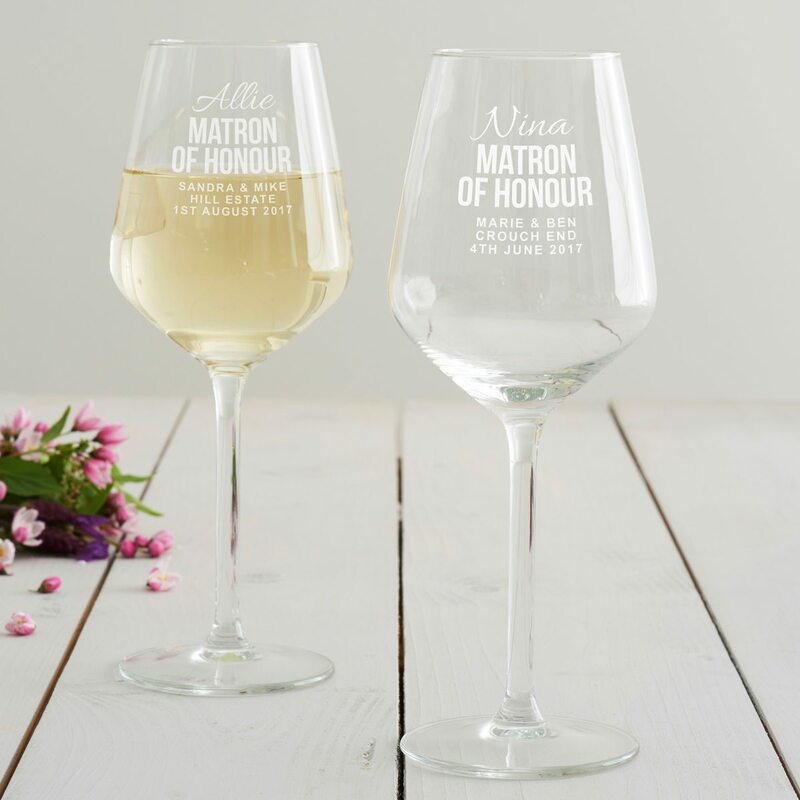 A perfect thank you gift for your matron of honour, this wine glass will be treasured forever.